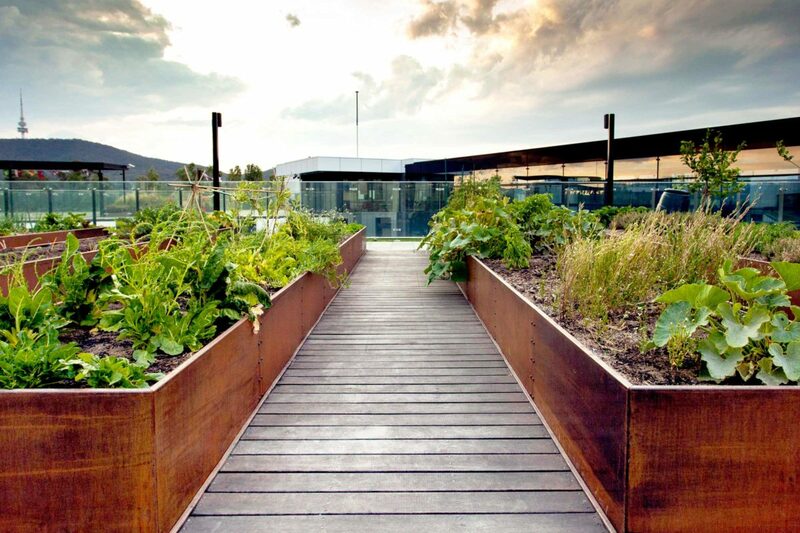 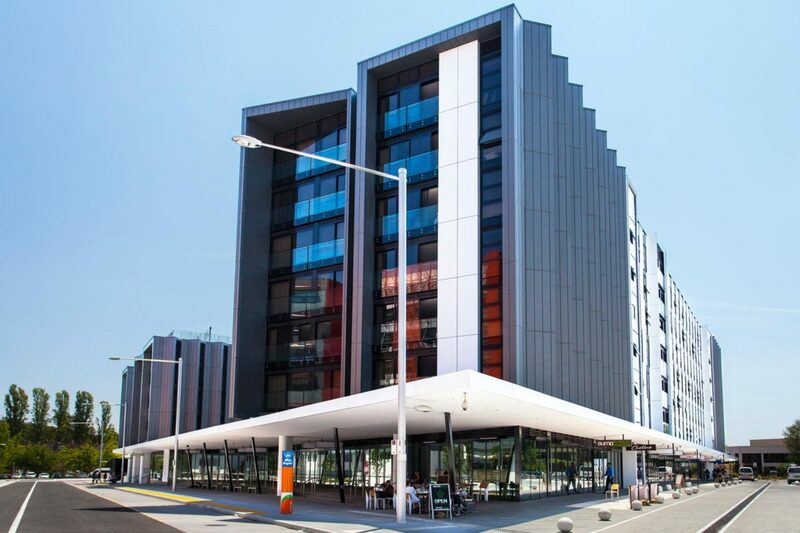 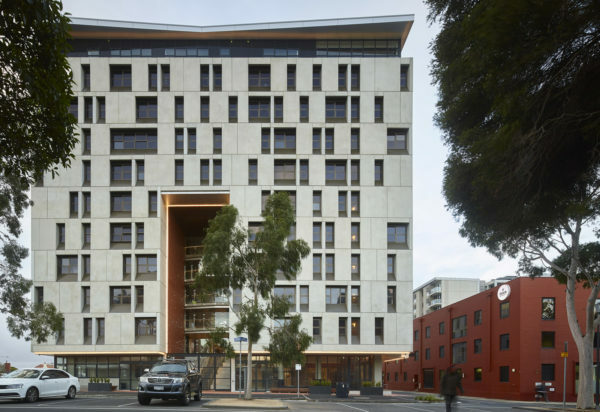 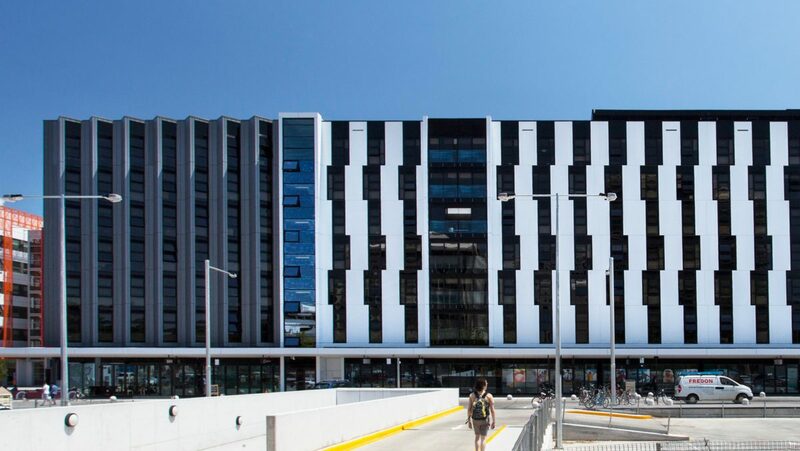 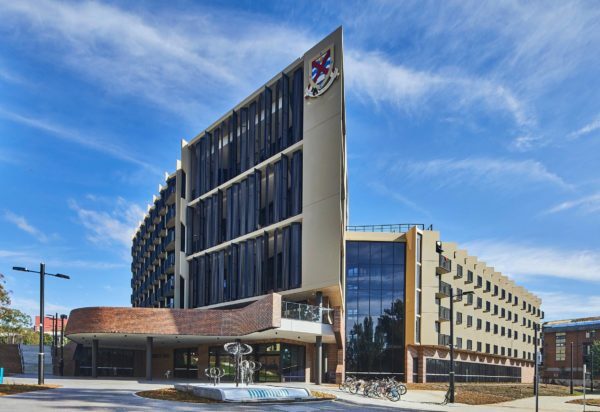 ANU’s Lena Karmel Lodge is a leading example of sustainability, flexibility and innovation in student accommodation design. 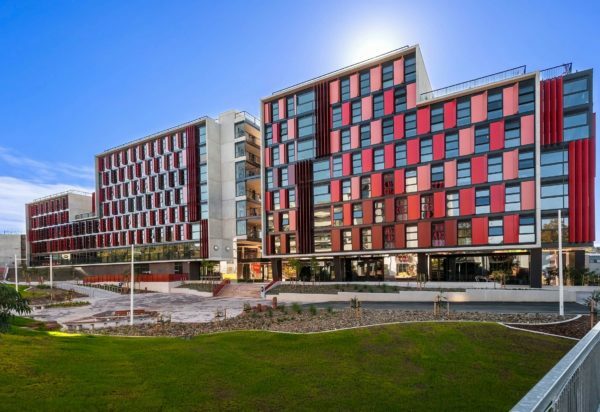 Incorporates best practice sustainable design principles, Lena Karmel Lodge sets a new national benchmark in student accommodation facilities. 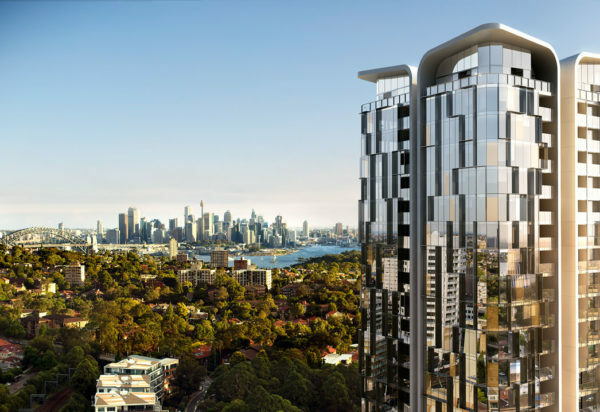 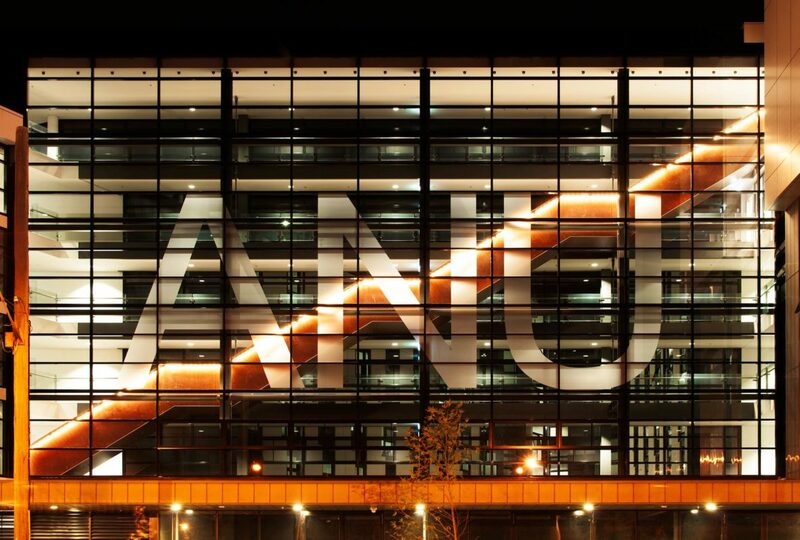 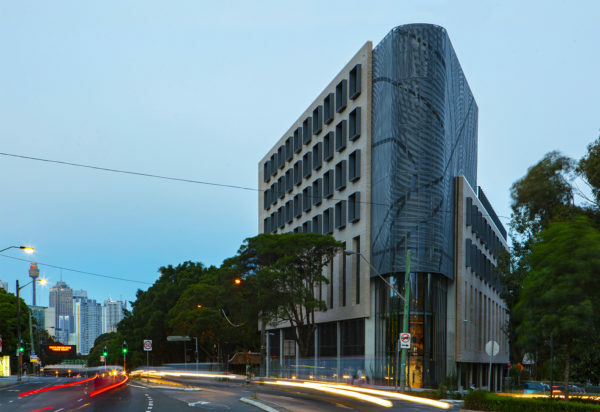 Bold and generous glass facades make up the exterior of this building. 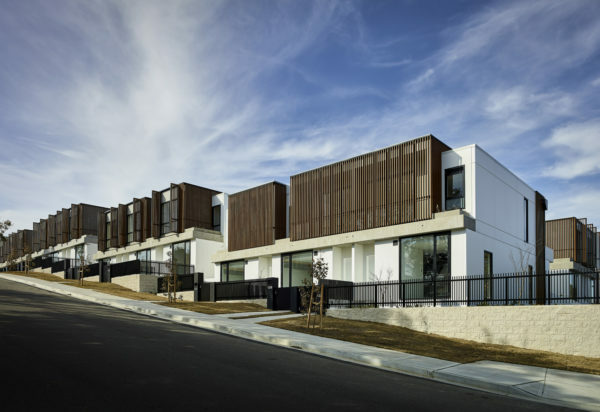 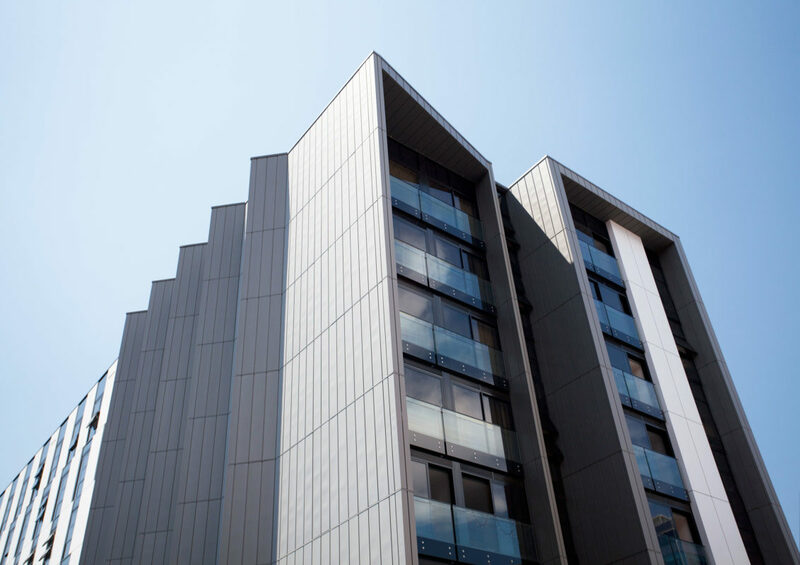 These striking facades are separated by modular elements which provide shape and contrast while disconnecting the building from the urban streetscape outside. 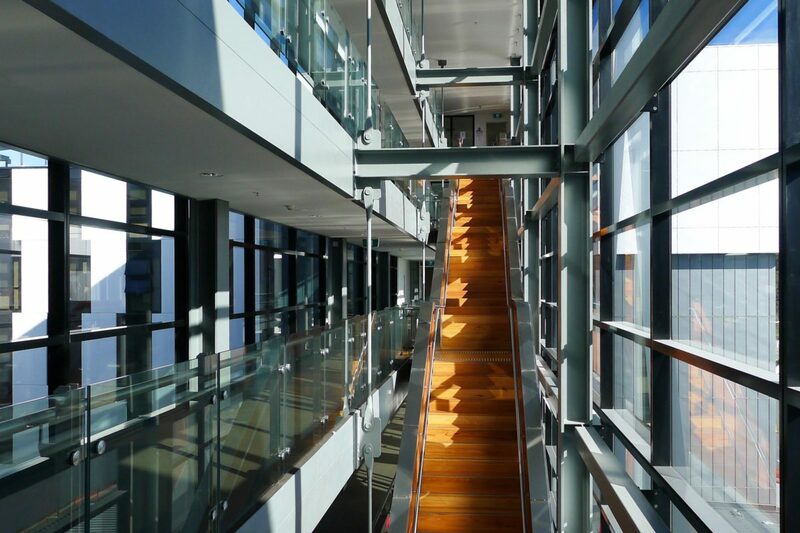 Indoor and outdoor spaces are connected by sky bridges and feature staircases to promote social and intellectual interactivity among students. 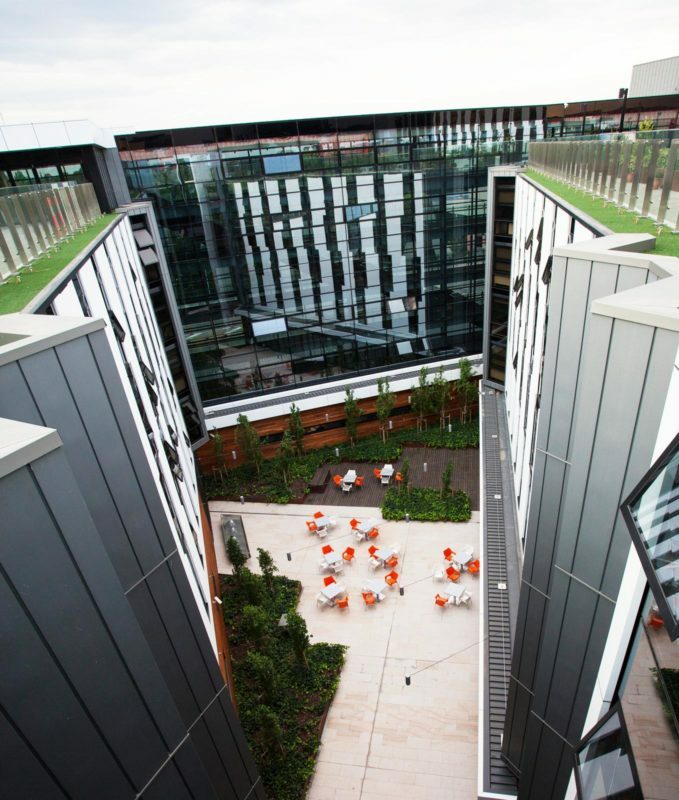 Spacious and contemporary internal courtyards and extensive rooftop gardens provide students with tranquil seclusion from the urban landscape. 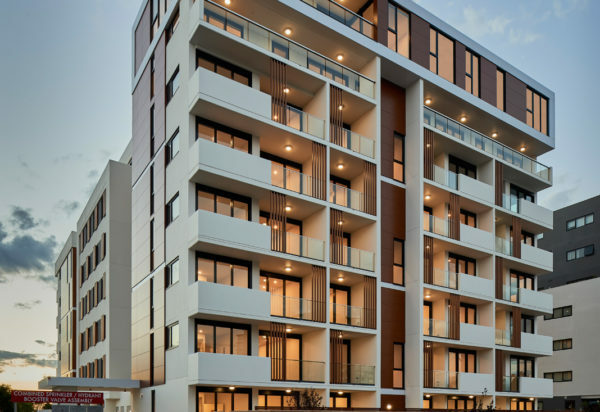 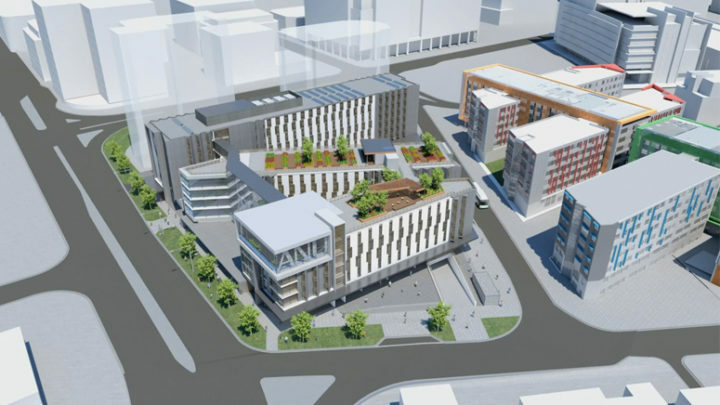 Lena Karmel Lodge comprises 485 apartments, 1,000sqm of retail spaces, 2,100sqm of student commons, a dining hall, gymnasium and 1,000sqm of community space. 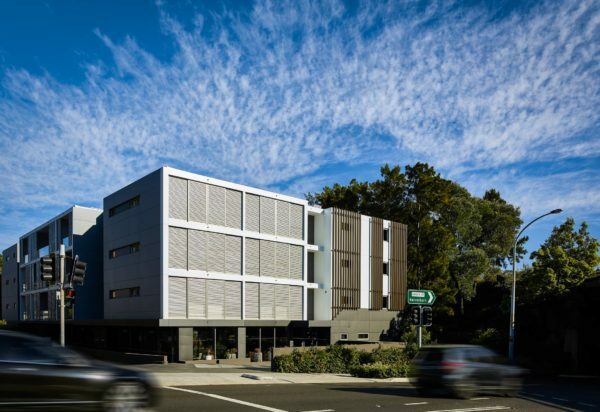 The site, bordering Barry Drive, Marcus Clarke Street, Kingsley Street and an inter-town busway, Lena Karmel Lodge provides an important gateway into the ANU from north of the campus.